Boye-Stitch Marker Rings. Keep track of your loops easily with these stitch marker rings! 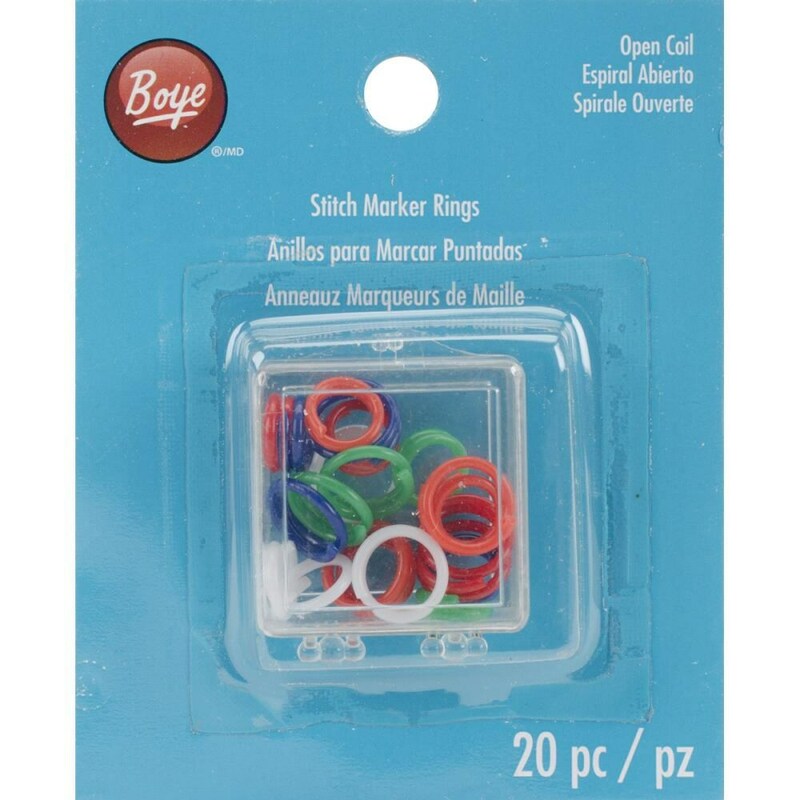 This package contains twenty stitch marker rings in assorted bright colors, in one 1/2x1-1/4x1-1/4 inch plastic container. These are great - easy to 'read' because of the color assortment.